The leading cause of bankruptcy in the U.S. isn’t credit card debt, car loans or student loans – it’s unpaid medical bills. In his 2009 State of the Union address, former U.S. President Barrack Obama said that a medical bankruptcy occurs every 30 seconds — which amounts to about one million bankruptcies each year. 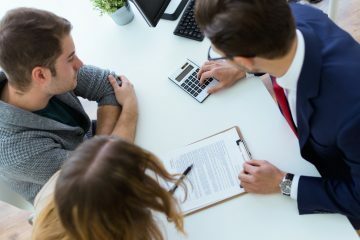 According to data from Experian, unpaid medical debt in America topped $127 billion last year, and that number is only rising. A survey conducted in 2016 by the Kaiser Family Foundation and the New York Times found that 20% of insured Americans and 53% of uninsured Americans have great difficulty paying their medical bills. The larger issue at hand is that 20% of people struggling to pay their medical bills took out a loan and another 23% increased their credit card debt as a result. That means Americans are getting so deep in debt that they’re borrowing money to pay back borrowed money. And among the uninsured, these percentages are typically higher. Despite the rampant amounts of medical debt, only about half of Americans with unpaid medical bills say they’ve been contacted by a collection agency within the past year. Interestingly, a recent study by Health Affairs found that, unlike health care use and spending, medical collections decreased substantially with age. The average size of medical debt decreased by nearly 40% from patients age 27 to 64, with increases in health insurance coverage and incomes likely playing important mediating roles. However, the study also found that as medical debt declines with age, medical spending increases. “Policies that promote insurance coverage for younger adults may have the greatest effect on reducing medical collections,” authors Michael Batty, Christa Gibbs and Benedic Ippolito conclude. Another survey by NPR, the Robert Wood Johnson Foundation and the Harvard T.H. Chan School of Public Health found that 7% of respondents had declared bankruptcy within the last two years due to high medical bills. Of those surveyed, another 20% took out a loan and 23% racked up additional credit card debt in order to cover medical bills. Surprisingly, however, the median amount of money owed in collections is not in the thousands of dollars like one might think — it’s actually only $366. 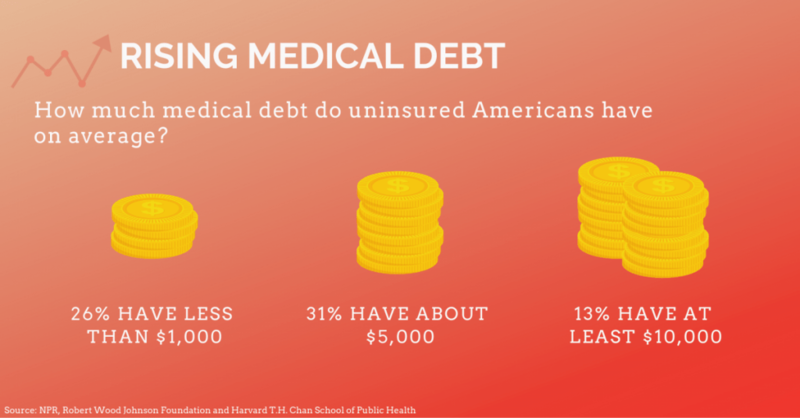 The reason why this amount is so low despite high amounts of medical debt is that most bad debt is simply written off by health care providers. The American Hospital Association found that the amount of bad debt written off for almost 5,000 hospitals nationwide was over $39 billion. 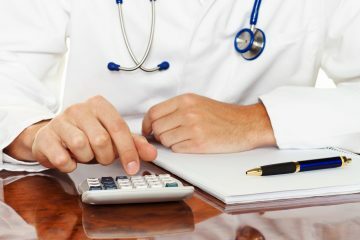 This bad debt can be attributed to insurance reform, but it also has to do with hospitals’ outdated revenue cycle management (RCM). Additionally, bad debt write-offs can be reversed in nonprofit hospitals according to a rule established by the Internal Revenue Service (IRS) in 2014. This means that if a hospital sends a patient account over to a collection agency and the patient later requests financial assistance, the hospital must pull the account back from collections. While many hospitals are implementing pre-payment strategies to try to curb bad debt, they’re ignoring the larger issue: revenue cycle management. Managing the revenue cycle continues to be a challenge for hospitals around the world, which is why it’s time they asked for help from a third party agency instead of trying to handle it internally.